TraceMaster Express is your complete paperless HACCP record management system. TraceMaster Express traceability and food safety management system creates digital HACCP record sheets without a paper trail. 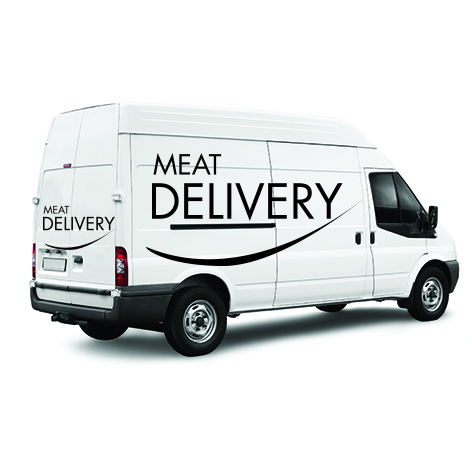 TraceMaster Express digitises intake by recording all deliveries as they arrive at your back door. TraceMaster Express digitises your delivery temperature control records and books in goods received onto your database system. 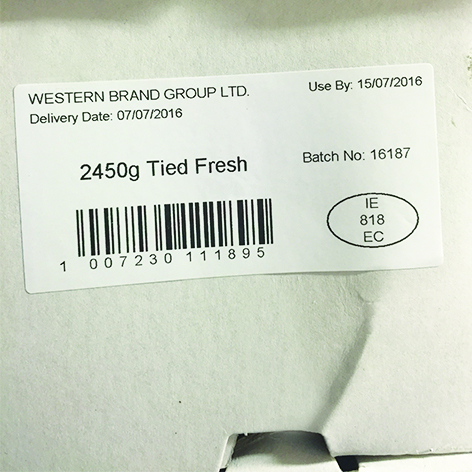 TraceMaster Express creates a batch traceable barcode which allows your food to be fully traceable from your goods inwards to the customer. We achieve this by using a barcode scanner. The TraceMaster system is user-friendly and allows GS1-128 barcodes to be scanned and checked in quickly on arrival. A unique internal batch code label is created. Once goods are booked in and labelled they are placed in storage and scanned when used in recipes, allowing for complete traceability. TraceMaster Express digitises your HACCP records which include goods inwards control records, mince records, dicing records, cooking records, serveover counter records, sausage production records, pudding production records and brining records and more. 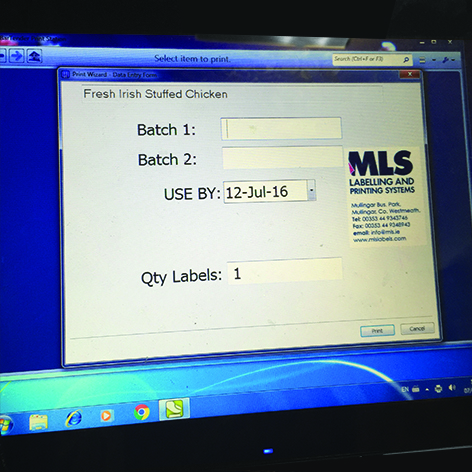 TraceMaster Express reduced the amount of paperwork and handwritten reports through quick and easy-to-use digital forms for HACCP control records. TraceMaster Express stores all records easily accessible and recorded in one place. TraceMaster Professional incorporates all features in the Express version of the system but is also a complete label management tool. TraceMaster Professional manages all aspects of prepack labelling. TraceMaster Professional transfers batch code and origin details by scanning batch traceability barcodes. TraceMaster Professional uses a robust database system which manages all food labelling requirements. TraceMaster professional automatically highlights allergens in bold. TraceMaster Professional complies with Regulation (EU) No 1169/2011 on the provision of food information to consumers. This includes a nutritional information box. TraceMaster Professional has set permissions, this allows users to only print data. All editing of label information is completed by administrators of the system. TraceMaster Professional provides full traceability from goods inwards to the customers. TraceMaster is a complete farm to fork traceabilty management system.